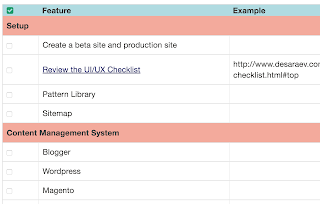 The UI feature Checklist provides a list of functionality that may be added to a site or application. 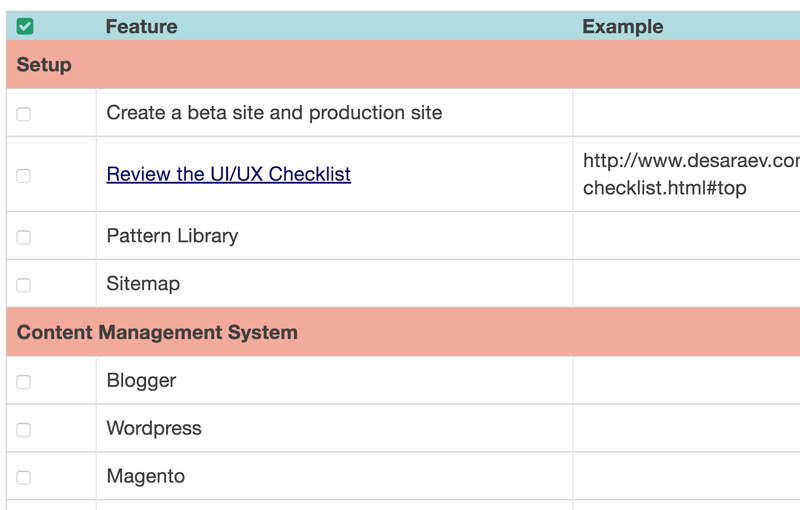 This checklist is great to review during a project to determine if any key features where missed and get ideas for future enhancements. Meta data is in the head of html and is not displayed. Add type attribute (numbers) type="1"
Add type attribute (uppercase letters) type="A"
Add type attribute (lowercase letters) type="a"
Add type attribute (uppercase roman numbers) type="I"
Add type attribute (lowercase roman numbers) type="i"
Note: This checklist only includes elements that I might overlook and tasks that I am capable of on my own. It is not a comprehensive checklist for application development.